In the WordPress back end, go to the Edit screen for the post you wish to schedule. 3. Click the grey “OK” button. 2. Your post or page title is really long and contains words not optimised for search. For example, if we write a post called “Helping Kids Find a Home or Shelter in St. Louis, Missouri,” WordPress may automatically generate this URL: “helping-kids-find-a-home-or-shelter-in-st-louis-missouri.” Search engines prefer shorter URLs, so it's worth removing words that won’t help the post's or page's ranking. Search engines also prefer that high-ranking keywords appear at the beginning of URLs. In the example above, if we want to rank for the phrase “homes for kids in St. Louis” we may want to adjust the URL to read “kids-find-homes-st-louis”. 1. In the WordPress back end, go to the Edit screen for the post or page you wish to edit. 2. Just below the title, click the grey “Edit” button next to the permalink. If instead of “Edit,” you see a button that says “Change Permalinks,” Click that button and click the “Post name” radio button on the “Permalink Settings” page. Then click the blue “Save Changes” button. Go back to the post or page you wish to edit and you should see the “Edit” button. 4. Click the grey “OK” button. If you manage a blog or write content, you’ve probably used the WordPress editor a fair amount. But many people haven’t realised its full potential. Try out the tips below to speed up your workflow and eliminate misspellings and website styling issues. This is a simple step that many people miss. If you want to spellcheck your content while you work or just before publishing, click the button that has a check mark with the letters “ABC” at the top. If you aren't writing in English, you can choose your language using the drop-down arrow next to “ABC." 1. The “Show/Hide Kitchen Sink” button pictures boxes with different-coloured squares and rectangles. Click it to show a second row of buttons. Sometimes when you’re working in the WordPress editor, you want to create a single line break — not a paragraph break with a gap between the two lines, but a single line break in which the lines are closer together. To do that, just hold the Shift key and hit Return. That’s it. Adding your organisation’s address to your contact page just got a lot easier. 3. Now go back to the WordPress editor and paste the URL into the main content area of the page. Make sure it's on its own line and don't try to right- or centre-align it. This will cause it to display incorrectly. 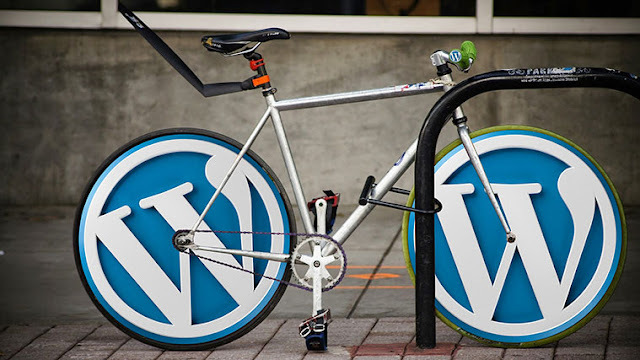 The editor will only show you the URL, but when you view the post, WordPress embeds the media. 5. Click the grey “Preview Changes” button on the top-right of the page to make sure the media has embedded correctly. You'll see the YouTube video we embedded now displays within our content.